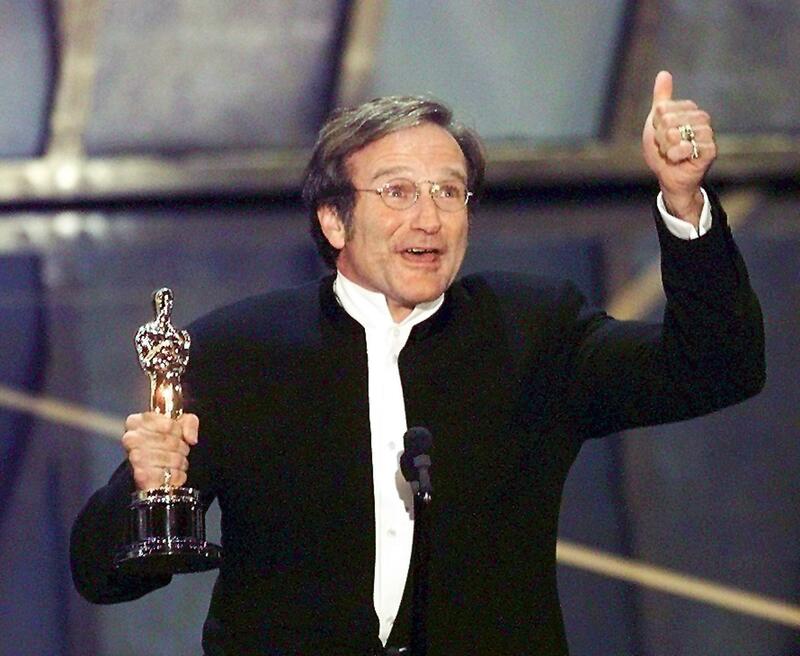 We knew it was coming and we knew it was gonna be rough: This past year, Hollywood has suffered a lot of loss, from Robin Williams to James Garner, Lauren Bacall, and Philip Seymour Hoffman. The "In Memoriam" segment of the 2015 Academy Awards ceremony was a chance to remember and honor all of that talent lost this year, and it delivered — unfortunately, though, not without a few snubs. Over the last couple of years, this part of the Oscars has included a live musical accompaniment. In 2014, Bette Midler serenaded us with "The Wind Beneath My Wings," and other previous performers have included Barbra Streisand, Esperanza Spalding, and Celine Dion. There is the potential for it to feel cheesy, but I always enjoy the musical performances — it's a nice way to make this show feel more like a show. The Grammys and the Tonys have live performance built into their DNA, but the Oscars have to work a little harder to make the show come alive. At tonight's ceremony, Meryl Streep presented the "In Memoriam." She opened with a quote from author Joan Didion — "a single person is missing for you and the whole world is empty." As the segment took the screen, the names of the Hollywood legends we lost this year were accompanied by lovely water color drawings and the "Love Theme" from Sophie's Choice. The theme was composed by Marvin Hamlisch, who himself passed away less than three years ago. Shockingly, the segment snubbed two major losses that rocked Hollywood this year: Joan Rivers and Jan Hooks, both Hollywood legends in their own ways. After the video, Jennifer Hudson performed "I Can't Let Go," which was written for for the second season of the NBC series Smash as we looked back on all of the deceased actors, directors, screenwriters, costume designers and everybody in between.